Get out of a rut and enjoy your caravan more with our simple tips to make your trips easier, different and more fun. Why not take the grandkids away with you for a couple of days? It’s easy to get into a rut, only using your caravan for a fortnight’s holiday in the summer and a couple of long weekends away a year. But it doesn’t have to be like that; no matter what the obstacle, a bit of lateral thinking can kick-start a new mental attitude towards your caravan, extending the seasons and environments you use it in. Here are some of our favourites, but we’d love to hear your thoughts and ideas in the comments section below! Not all of us have the luxury of being able to store our caravan in an easily accessible place, so an electric caravan mover might be the most useful piece of equipment you ever buy. No, they aren’t cheap but they take all the effort out of shuffling your ‘van around on your drive, meaning you’re more likely to get it out and use it on a whim. Cheaper models start at around £200 and fit to your caravan hitch or replace the jockey wheel, while more expensive models fit onto your caravan’s chassis and drive the wheels directly. The price of these starts at around £500 and rises to over £1,500 but most people consider their usefulness, reliability and ease-of-use worth the extra cost over the former. Guide to preparing your caravan or motorhome for spring. You could opt for a satellite dish for your TV but why not bring yourself bang-up-to-date with a portable Personal Video Recorder (PVR) and watch TV on your iPad or tablet? TabletTV allows you to watch and record your favourite television shows throughout the UK and Europe with no data roaming charges or the need for an internet connection. It costs £65 for the mains-powered version and £70 for the portable, battery powered version. What do the cities of York, Cambridge, London, Birmingham and Chester have in common? The answer is that they all have caravan sites, disproving the assumption that all caravan sites are in rural locations! More and more towns and cities are waking up to the fact that people are willing to pay to be able to use their caravan for a city break, avoiding the need to pay expensive hotel bills and bringing familiar home comforts to an urban setting. How to prevent damp in caravans. There is a temptation to pack the bare minimum in your caravan to save weight and because you don’t have the same storage space as you do at home. That’s a fine and noble aim but there is no need to slum it: if you like good coffee then pack a small coffee maker. If you enjoy cooking, pack a few small jars of herbs and spices to enable you to whip up a fabulous meal from all that local, fresh and seasonal produce you are going to stumble across on your travels. Anyone can be uncomfortable, but it takes a genius to be able bring as many of the comforts of home as possible in such a small space. Take the stress out of towing your caravan with our tips. Why not take the children or grandkids away with you for a couple of days? Even if you don’t have the space for them to sleep in the caravan with you, you could always pitch a small tent outside for them – they’ll love the sense of independence it gives them! – and pile it full of blankets and cushions for them to snuggle under. If you do take them, why not book a campsite that allows you to build a real fire too? They’ll love toasting marshmallows and drinking hot chocolate in the evening and nothing tastes better than homemade waffles for breakfast cooked over the flames. I use the Jamie Oliver recipe as it is utterly foolproof and you can cook them in a normal frying pan. No, I don’t mean prepping your caravan for winter and staying indoors, I mean getting out and about in it and extending your season to a full 12 months! The key to enjoying the winter is to prepare for it properly, so get the heater in your caravan serviced and stock up with some luxurious throws and blankets. 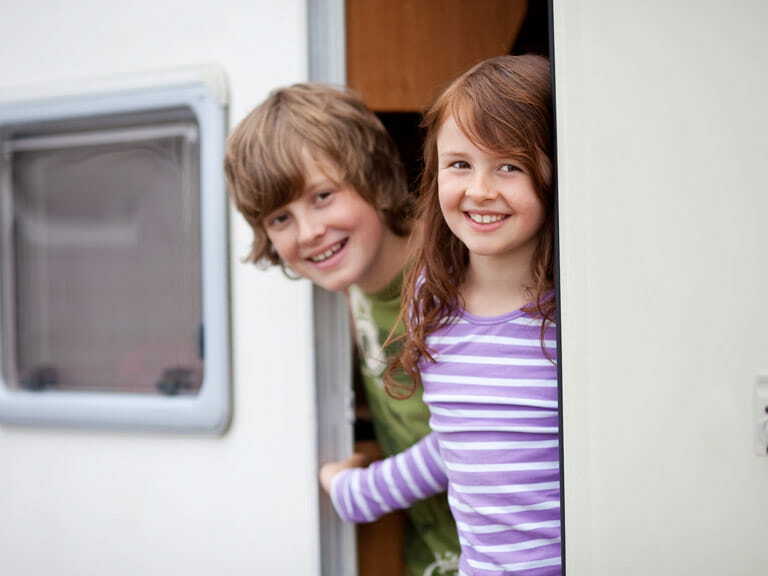 For more tips and useful information, browse our caravan and motorhome articles.